Last month a gaming legend passed away. 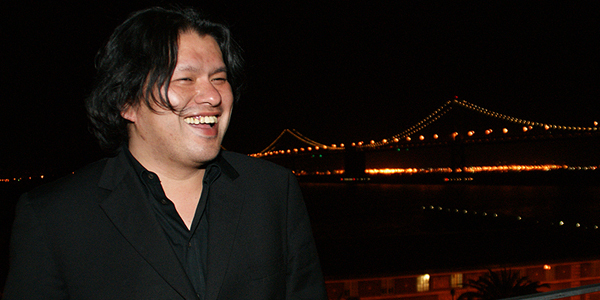 Kenji Eno is not a household name but his influence on games is massive, creating unique works that have such a unique and mysterious feel to them. Sega fans will know him best for games like D and Enemy Zero on the Saturn and D2 on the Dreamcast. He also created Real Sound: Kaze no Regret, a game on both the Saturn and Dreamcast that was a audio only adventure, so even blind people could play it. The man was also a musician and composed tracks for Sega Rally 2. 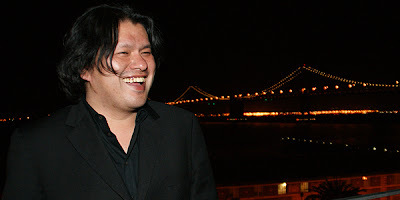 Here is a fantastic article over at Gamasutra about his career and influence. 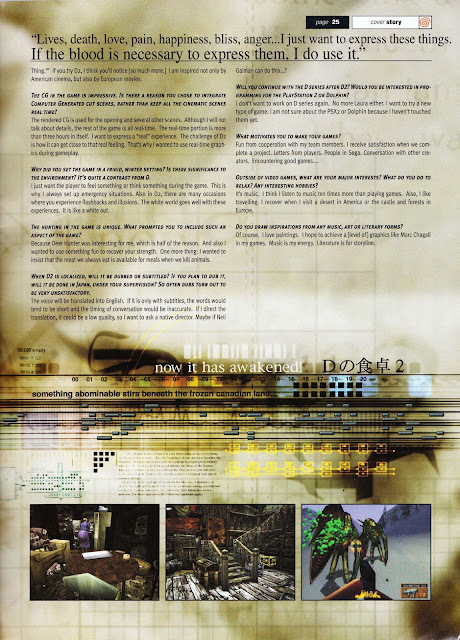 Also, a Dreamcast fan e-mailed me an interview with Kenji Eno discussing D2, scanned from an issue of Gamersrepublic. Check it out below. Finally here's a video review Caleb did way back in 2007 of D2. sad news. Loved the original D on the saturn. nothing like it at the time. 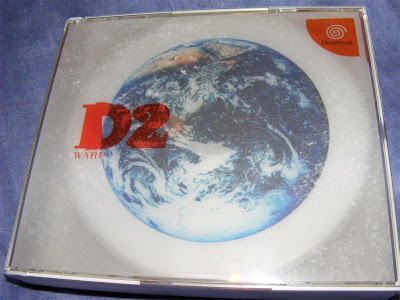 Only game I've played was D2, and that was a great, and unique, experience. Weird, and with some bad design choices here and there, but a great game overall. D2 and E0 were and still are two very innovative games. The industry loses just one more little piece of genius and originality, and most people won't even know, notice, or care.